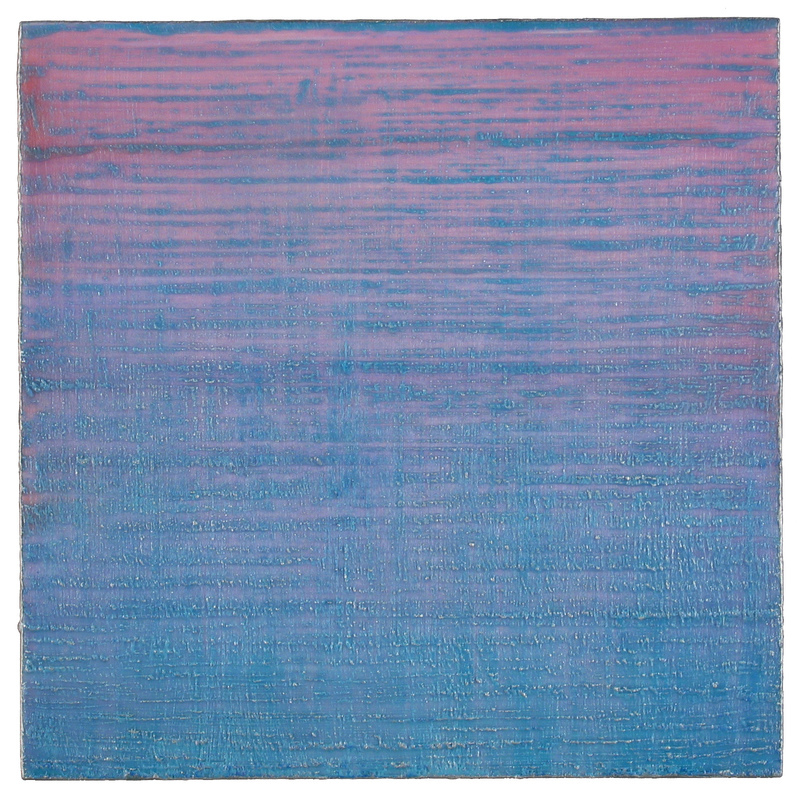 Each work in the Silk Trail Suite is a small color field achieved by layers of paint applied at right angles. The series was inspired by the iridescent hues of silk but very quickly evolved into a more expansive exploration of color for the artist. Each jewel-like surface invites you to look into them, not simply at them to the point that each becomes a masterfully woven, iridescent piece of fabric.